Are you ready for the annual Christmas Craft and Gift Fair in Bury St Edmunds? An established events company in Bury St Edmunds is busy planning its annual Christmas Craft fair at the Athenaeum in Bury St Edmunds. The Marketplace has arranged the event for Sunday November 22 giving shoppers in the town plenty of time to buy crafts and gifts ready for the fast approaching festive period. The Athenaeum will be filled with fifty stalls with local businesses selling an exciting range of Christmas crafts and gifts. 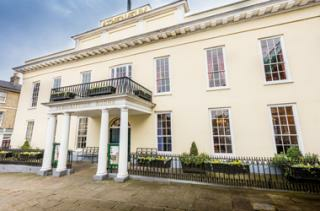 Shoppers will be welcome at the Athenaeum between 10am – 4.30pm. Entry is 50 pence for adults with a percentage of the fee going to St Nicholas Hospice Care.